Description: New Acer laptop replacement battery. The specifications for this battery are 3790mAh, 28Wh, 7.4V, 4 Cell. 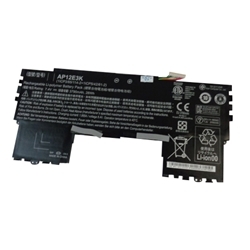 This is a high quality genuine rechargeable Li-polymer battery pack. Compatible Part #'s: KT.00403.008, AP12E3K, KT.0030R.001.